My eyes have not stopped weeping since I had cataract surgery last summer and I have to wear sunglasses when it’s bright — even indoors. My eyesight is a lot better and I no longer need reading glasses, but I’m not sure it was worth it and I regret having the operation. Is there a cure or will I have to live with this for the rest of my life? Cataract surgery is the most common operation in the UK and has a high success rate. I understand your frustration at suffering complications, however, I do suspect they can be treated relatively easily and will soon clear up, allowing you to reap the benefits of the operation. Cataracts form when the proteins in the eye’s lens clump together, stopping light from passing through and turning the lens cloudy. Sight becomes blurred and colours are washed out. During surgery, the clouded lens is replaced with an artificial one and recovery usually takes four to six weeks. Most people will still need to wear glasses for some tasks, such as reading, so I am pleased to hear you have been able to dispense with your reading glasses. 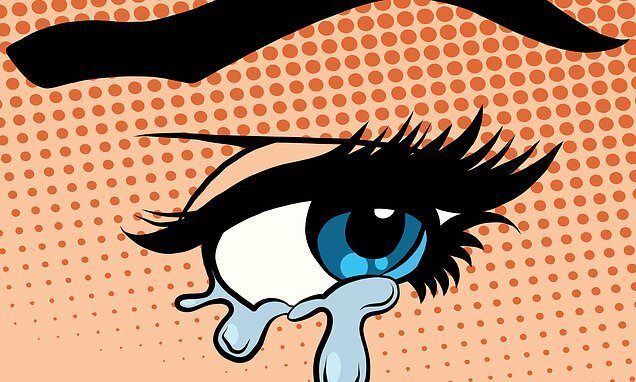 About 10 per cent of people have watery or weeping eyes, known as epiphora, afterwards, although it is thought that some may have had the problem before the operation. Causes include blepharitis, in which inflammation of the eyelids affects the structure of the film of tears that naturally lubricates the surface of the eye. The tear film is made up of three layers, including an oily outer coating that stops the tears from leaking out over the eyelashes.